Sara Kelly, International Relations and History. Class of 2019. The phrase “summer reading” blasts undergrads like myself back to middle and high school when assignments were forced upon us and rarely reflected our personal interests. While summer reading might still invoke painful memories of hastily doing all your reading the night before the first day of school, it does not have to. Most college students cherish their summers and devote them to internships, summer jobs, or three months of relaxation before another stressful semester begins. We forget, however, that summer break is one of the only times of the year when we are able to read leisurely. In pursuit of reading for fun, I’ve compiled a list of suggested works from faculty and students affiliated with the IR program. Before the Fall 2018 semester begins (in exactly one month!) I hope you all are able to read at least one of the books suggested below. Saint Joseph’s University faculty members share their summer reading suggestions, pulling from the worlds of political science, international relations, history, and fiction to inform their work on campus. 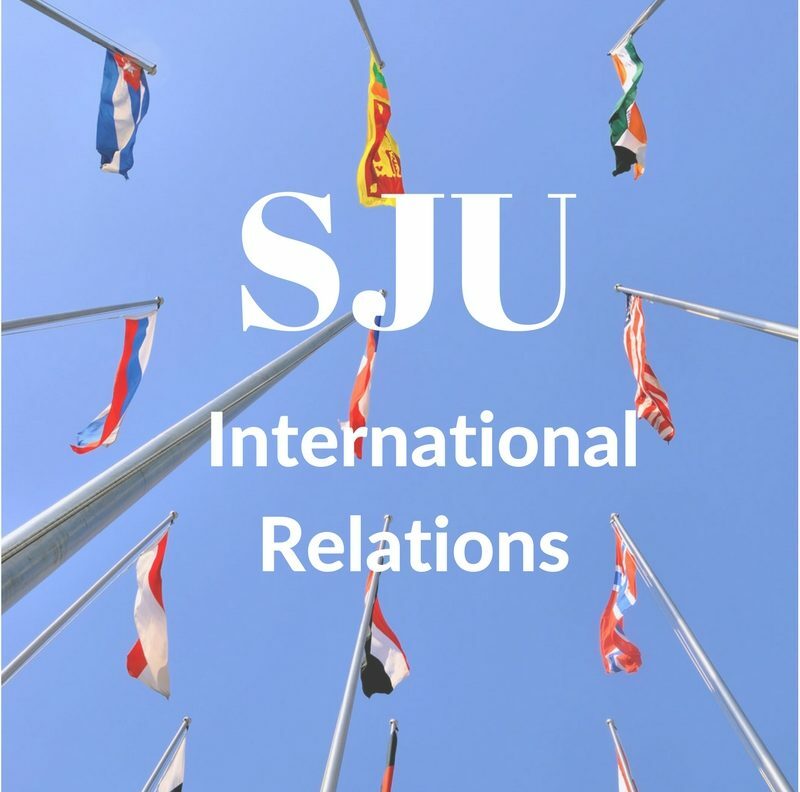 Be it narratives from Russia, China, South Asia, the Middle East, or present day United States, SJU international relations and affiliated faculty draw inspiration for their work from a wide array of sources. Five of the professors took time away from their busy summers of research to share books that they have enjoyed and enthusiastically recommend to their undergraduate students. Michael McFaul helped shape diplomatic relations between the US and China during the Obama administration. Additionally, he was one of President Obama’s advisors on Russian affairs and made critical contributions to how the administration would pursue foreign policy in the region. Published in 2018, investigative journalist Ronan Farrow’s book details recent transformations in US foreign policy by taking readers to Washington D.C., Afghanistan, Somalia and even North Korea. Farrow provides the “inside scoop” that only a former State Department official could have, and includes a diverse set of high profile interviews from warlords to every living former secretary of state. Farrow ultimately argues that diplomacy can be an alternative to war, but only if the United States looks away from our guns. Timothy Snyder is a political theorist whose book presents the following argument: the rise of populism and “win” of authoritarianism in Russia has overshadowed understandings of the democratic victory. Dr. Baglione describes Amor Towles’ book as a “fantastic, fun read.” Set in Russia in 1922, Towles’ tells the story of a Count who is sentenced to house arrest across the street from the Kremlin. The Count, used to a life of ease and grandeur, must adjust to the life in an attic across from the most powerful location in Russia. Dr. Baglione recommends Elena Ferrante’s Neapolitan Novels for all those interested in intersectionality, particularly class and gender. This set of four books is soon to be an HBO series. Get ahead of the pop culture curve with your summer reading and explore this world of two friends growing up in post war Italy in the 1950s. The four books span over 60 years, giving readers a well rounded view into the neighborhood on the outskirts of Naples. 6) Anything written by Cynthia Enloe! Dr. Cynthia Enloe is a core scholar of feminist international relations. Dr. Baglione says “I think all IR majors should be sure they at least read one book by Cynthia Enloe before they graduate.” She recommends Globalization and Militarism or Seriously. If you’re lucky enough to take Dr. Baglione’s gender and international politics class next semester, you’ll get a chance to read Enloe. Stephen Kinzer’s book was on Dr. Schumacher’s syllabus for his Middle Eastern History class that I took last year. Good enough to be recommended twice, this spy novel gives a first hand look inside the CIA led coup in Iran. The sentiments in Iran towards America coupled with U.S. blind determination creates a story fraught with drama and strife, yet still based on true events. Margaret Macmillan highlights the role Paris had in sculpting peace after 1919 and at the end of World War I. A narrative history, Macmillan’s book makes sure to include the world leaders whose names are always recognizable to students of International Relations. Paris 1919 showcases the important, but ultimately unsuccessful, efforts of the international community to prevent another World War. Author Elizabeth Economy looks at social, political and economic changes in China, and what impact these changes had domestically and internationally. New Leadership in China has broadened ideas about politics and economics, creating new opportunities for the state to interact and expand its influence on the global stage. Dr. Carter deems this a more “serious book” if you’re really looking to expand your knowledge about Chinese foreign policy. Paul French gives readers a peek into 1930s Shanghai and the lives of international outlaws. The main character is a U.S. expat (not by choice it seems), who escapes from prison to find his place in the higher ups of Shanghai’s underground. Dr. Carter suggests this for a little more (academic) fun. Stephen Platt’s book lends insight into the attempt Western missionaries and traveler’s attempts to redirect China from their isolationist policy. By looking at the drug wars of the 1830s, Platt shows the eventual fall of the Quing dynasty. Recommended by Dr. Carter. As Dr. Fukuoka described, “David Hackett Fischer discusses fallacious reasoning historians tend to commit… The book is not just for historians. The book provides an excellent reminder for all the students of social sciences who deal with data (either qualitative/quantitative) as the interpretation of it (and the logical bases behind it) can become so easily fallacious.” This book shows a highly critical, but arguably very important, view of the profession of history.